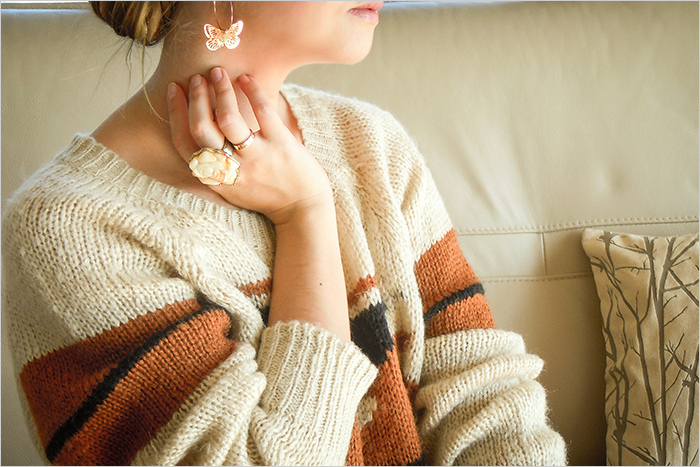 Butterfly earrings I borrowed from my daughter and add beige rose ring to this look. Hope you'll recover soon!! BTW this is a cute outfit!! I also hope so~ thank you! Образ, действительно нежный и очень гармоничный)Красивые фотографии, на них безумно приятно смотреть! such an effortless look. love the chunky sweater u are so pretty o! xO! such a gorgeous sweater ! You look great :)!!! Visit http://www.urbanfashionstylee.blogspot.mx and check my new post!! Образ хорош, такие карамельные оттенки..
Olenka ne boleu! This look is very very nice, love the skirt ;). aw i hope you get over your cold quickly! but you still dress SO AMAZING even while sick! i love the brown tones of the outfit, and how well that thick sweater goes with your leather skirt. one of my favorites so far! Your style is great and everything looks perfect on You! Super cute skirt!! love the colros!! :) Красиво! Вкусно и красиво! Меня почему-то завораживают именно оттенки коричневого, видимо вызывают какие-то ассоциации. Приятные оттенки и просто красивые вещи! Тебе очень идут такие цвета. Such an amazing outfit and I really like the photos! Как же мне нравится эта кожаная юбочка, такая длина тебе очень идет! Очень уютный образ получился. И мне нравится цветовая гамма этого лука. GUYS, I AM REALLY HAPPY THAT YOU LOVE THIS LOOK! I love your skirt, so pretty! lovely skirt and lovely hair style! 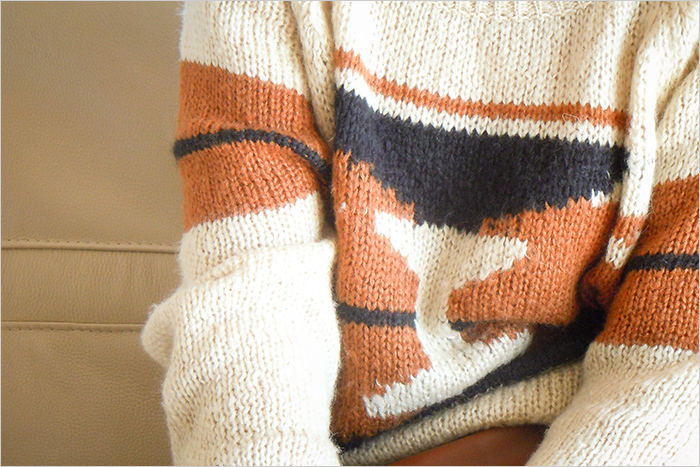 Love this color scheme and the print of that sweater! This look is southwestern in the most unexpected way. A full leather skirt and a charming sweater and the most chic cowgirl boots on earth... You've really created something new here. It's adorable! Amazing look! I love your sweater and your hair is gorgeous!